Renown for their choreographed dance videos, it's no surprise to witness much the same on Jungle's latest efforts, Heavy, California and Cherry. No one does it quite better. 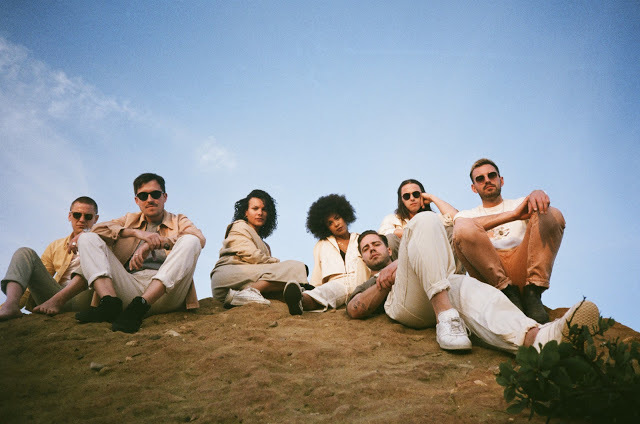 Matching the new track's scintillating grooves, the video for the former sees our dance troupe entourage expand as the sun sets behind them perfectly complementing their aesthetic. Elsewhere Cherry's downtempo vibes get the experimental treatment with some unique dancing that leaves you glued to the scree. Art at its finest. Directed by Josh Lloyd-Watson & Charlie Di Placido, with choreography by Nat Zangi and photography direction by Olly Wiggins take a watch to both new singles for yourselves below. Heavy California and Cherry are taken from the band's forthcoming new album 'For Ever'.